It’s nearly April and your child is well immersed into their current year at school. How’s it going? School time and, of course, childhood should be a blissful time, full of fun, learning and exploring a child’s concept of who they are. Unfortunately the reality is that during the time when your child should be growing and fulfilling their potential, expanding their social circle and growing in confidence, the reality can be different. Social media can be scary with constant criticism online, intolerance in posts and comments, and unrealistic pictures and videos can appear confusing and can make us all feel inadequate. What’s worse it can make a child look at their life and their family or home situation in a light which you may not be aware of, or you may realise they are feeling unsatisfied with their lot but not know how to help. You can talk to a child until you are blue in the face, giving them all the reassurance you can but it may not penetrate. Unfortunately we all take the negative to heart far more than the positive. Going to school exposes children to groups of kids they may never mix with in their home lives. This is wonderful in so many ways, it should teach tolerance and provide many wonderful experiences. Unfortunately, again, the reality may provide bullying and harrassment which can make many children’s lives miserable. Knife crime is more of a problem and can make children very suspicious of meeting new groups of kids. This all sounds very depressing but I am happy to say that martial arts can (and does) provide many solutions to these scenarios. It is important that your child learns to have the confidence to deal with difficult situations. This shapes their character and directs their progress as they mature. Our students are not judged against other people in the class, it is purely judged on potential ability. We are looking for individual progress and do not compare children, even at the same belt level and age. You will see children at the same grade, learning and achieveing at different levels – that doesn’t matter. We are keeping an eye on all the children’s progress and as long as there is consistent improvement, that is all we ask for. This means unlike in school, children won’t feel self conscious. 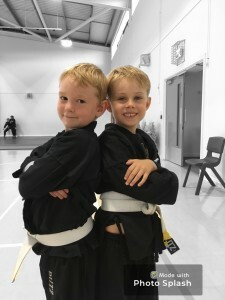 Goal setting is a big part of Kuk Sool Won; each belt grade is relatively short term which allows your child to have a realistic look on success giving them more confidence to achieve the longer time goals. As soon as they earn a new belt, they start learning towards the next level and the next grading is never too far off. Kuk Sool Won will actually build the strength, skill and confidence to stand up to bullies. Training can be uncomfortable and hard work and this gives children resillience. Learning self-defence techniques teaches children that they have the ability to hurt another person if necessary. Just knowing that you can defend yourself can take the stress out of difficult situations. There are rules inside a dojang, allowing the children to feel more secure. They can replicate this at school where there is a similar rule structure. If everyone knows the rules and the consequences of breaking them, it makes everyone feel more relaxed. Your child will get used to making mistakes through martial arts and gain the knowledge that you’re not perfect at things straight away. Many children find it very difficult to be told they are not doing things correctly; it can be a shock! We don’t say they are wrong, they simply need to improve but some kids just don’t take this very well. Well, they will find out in life that they can’t get things right all the time and they need to learn that getting things wrong is not the end of the world. Making mistakes should not be followed by giving up; it should make us all want to try harder and this attitude is one we encourage. This will give the child the resilience and mental toughness to work hard at school and beyond, and to try to react positively to any challenge life throws at them. Children often imitate what they have learnt from significant adults in their lives. An instructor is a good role model and will be able to pass on the eye contact and confident body posture they need to emulate. Body language is something everyone responds to, so learning to look confident makes you give a great first impression. It also makes you feel confident naturally. Our instructors will be looking to praise progression. We want everyone to feel good about their achievements. Within the classes you will hear the instructors say “You can do it” reinforcing that confidence constantly. As part of our classes, we ask children to perform in groups, which is a comfortable position to be in and allows them to learn in a relaxed manner. We also ask them to perform individually and put them in a uncomfortable position, outside of their comfort zone. Managing to get through a form or some other aspect of Kuk Sool Won on their own gives a massive boost to a child’s confidence. We all need to push ourselves and being challenged and succeeding is the best way to improve your self-esteem. We encourage all the children to work in small groups at times, trying to mix up the individuals and asking them to work together, sometimes with other children we know they may not want to work with. This may seem unkind but in adult life there will be no-one to manage who you have to interact with. We keep an eye on how things are progressing and it can be a real breakthrough to a youngster to find out that actually we are all working together. We all need to learn to work in teams and avoiding people and only doing things on your own will do you no good in the future. We hope to teach tolerance in this way. Coming to our classes allows children to make new friends – never a bad thing! We work on children’s confidence by getting them to perform in front of parents and visiting black belts from other clubs. We hold public demonstrations in the summer and this is another huge confidence boost. We always have some naturally confident children who love to perform in public but the reality is that most children (and adults) don’t take to this naturally. Learning to deal with stress and nerves is a skill that is essential throughout life. 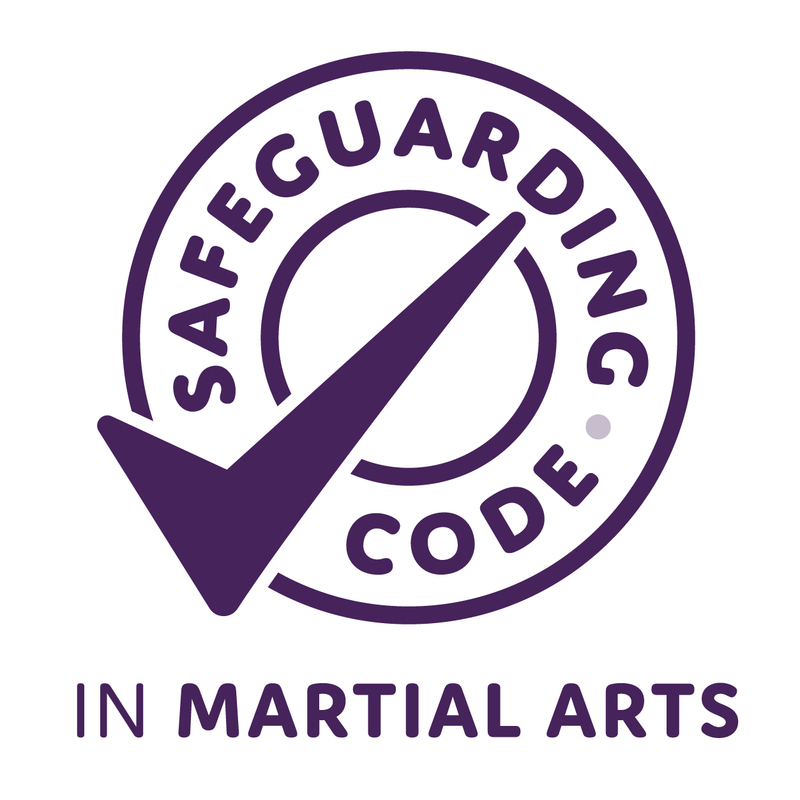 Please note I have not mentioned so far that training for children in Kuk Sool Won gives them confidence to defend themselves against an attacker. This is because I would not want to give the wrong impression. A few months of training in Kuk Sool Won will give you many, many benefits but an attacker is something I cannot guarantee you can defend yourself from. Make no mistake – you need to do whatever you can to avoid difficult and dangerous situations. However, becoming stronger, learning new skills and becoming more confident will put you in a much stronger position if the worst should happen. Avoid it at all costs, but you learn skills that should help if the need arises. And, finally, training in our martial art should give you the confidence to achieve anything you set your mind to. Kuk Sool Won has a huge curriculum with much to learn. The more you learn, the more you will realise you can take on. You will realise that you are capable of much more than you thought at the beginning. It’s all a state of mind and is the black belt attitude that we, as instructors, are looking for more than anything. If this all sounds like something you want your child to experience, please contact us at Kuk Sool Won ™ of Weston Super Mare.